The collection. The instruction. The collaboration. The program administration. It all comes together with The Schedule. Our jobs as teacher librarians can be much easier or much harder based on how our time and space are used and shared. The schedule dictates access for students and staff. It reflects the library’s values and mission. There’s no two ways about it: the schedule is important! When I started my MLIS program, I didn’t think much about library scheduling options. Honestly, I’d never even heard of fixed or flex schedules. As my coursework progressed, it became clear that flexible scheduling was a superior choice. I became a flexible scheduling crusader. I developed talking points to use with administrators advocating the change from a fixed to a flex schedule. 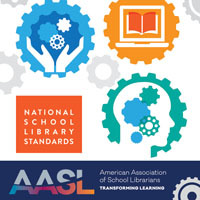 I felt righteous indignation when I learned that schools continued to use fixed library schedules that limited school librarians’ impact on students and teachers. Educational research and teacher librarian testimonials all clearly sided with Team Flex. And, it all made sense: flexible scheduling allows students and teachers more access to library resources, provides for more authentic learning experiences, and promotes collaboration. There are so many reasons why flexible scheduling is how it’s supposed to be done. And then, there is reality. 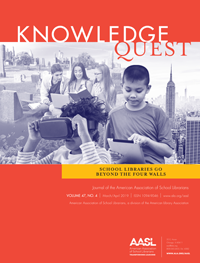 When I transitioned from the classroom to the school library, I joined a school with a district-mandated literacy plan that required all students to visit the library with their teachers at least once a month. As a library newbie who was scared no one would want to visit the library, much less collaborate, this didn’t seem all bad–even though I knew I was supposed to want a fully flexible schedule. I put aside my flex schedule crusader’s shield and comforted myself with the knowledge that at least it wasn’t a fully fixed schedule. For my first year I continued to do what every librarian in the building had done before me: I scheduled the English Language Arts teachers to rotate continuously through the library, interrupting the flow only for holidays and book fairs. Luckily, I developed some great collaboration partners in the English department and built some solid relationships with students. It wasn’t a horrible year, but I was aware other local middle school libraries were on fully flexible schedules. And, I didn’t want to keep doing what had always been done. All my crusading bluster and talking points didn’t change the district-mandated literacy plan for the next year—there wasn’t going to be a fully flexible schedule. While this was more than a little disappointing, I chose to embrace the space in between fixed and flex scheduling by emphasizing as many elements of flexible scheduling as possible. A shared Google calendar gives the entire staff the ability to book time in the library. In an effort to maximize how the library space is used, teachers can sign up for instruction when another teacher is signed up for checkout. Having a media clerk and student helpers has allowed multiple classes to use the library at once. The biggest change has been with how teachers rotate through the schedule. Now, instead of just continuously rotating the English teachers, each grade level has a set week to visit the library and any content area teacher can bring students. This has opened up a whole new world for collaboration and instruction. Next week, I have two science classes, a social studies class, and an English class scheduled. It’s exciting for me to share different resources and model instructional technology with the different subject areas. Using this rotating schedule still fulfills the literacy plan mandates, and it allows at least 2 “open” days for collaboration and extra checkout opportunities. This added flexibility has equated to added use. The first year just the 14 English teachers used the library with their students. Last year, 34 different teachers visited with their classes, and I’m hoping for even more this year. My flexible schedule crusade isn’t completely cancelled. 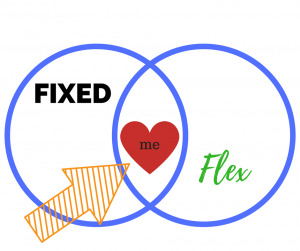 Of course I would be thrilled to move to a fully flex schedule next year, but right now it’s more productive for me to work within the precious space between fixed and flex. 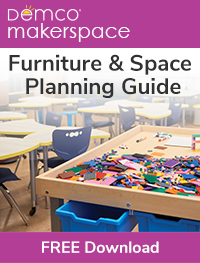 Staffing and building-level allocations often limit the school library’s scheduling options, but it doesn’t have to limit what the school library provides. Emphasize the flexible scheduling elements that will give your students and staff—and you—the most benefit. Embrace the space between fixed and flex. And then, keep pushing those boundaries and crusading. I would love to see a screen shot of a week of your schedule so I can try to replicate. Do you block out the same time each week for “open” days or does that vary depending on the teacher’s schedule requests? Do you set it up as an appointment for you to confirm or do they have open access to your schedule? I’d love to see a week of scheduling too. This is so inspiring! By getting those other teachers into the library you are truly teaching literacy across the curriculum. I would also love to see a screen shot of your schedule. I am also going to set up a shared google schedule. I am a new middle school teacher/ librarian. Last year, I was an elementary school librarian but had the opportunity to move up . 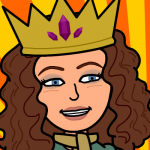 I am really excited to rock and roll in the library but am not sure how to create a schedule that will allow me the flexibility to work with all teachers and the safety of having certain teachers coming in on a rotating schedule. Can you send me a copy of your schedule and would you be willing to talk things over with me? I appreciate your advice and want to start out strong with the teachers in the next few weeks. I am really very confused yet know I need to present some sort of schedule to the staff the week after next.